Posted on January 29, 2019 in Homepage, Newspaper. Bob Brice has taught social studies at Chichester High School for four years. He knows the students and understands that it’s been a long time since the varsity football team has fielded a winner. He’s looking forward to tackling the task. Pending school board approval Feb. 19, Brice will become the new head coach of the Eagles. The position was previously held by Ryan Smith, who coached the team from 2010-2018. A graduate of West Chester East High School, Brice, 29, was a quarterback at Widener University. He transferred from Widener and finished his undergraduate degree at West Chester University. After college, Brice returned to East where he was an assistant coach for three years. 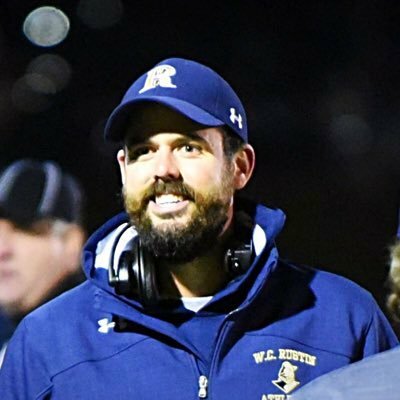 He spent the last four seasons on coach Mike St. Clair’s staff at Rustin and was the offensive coordinator since 2017. He helped the Golden Knights reach the District 1 Class 5A final in 2018.